On the border between South Dakota and North Dakota lies a small town with a big presence. 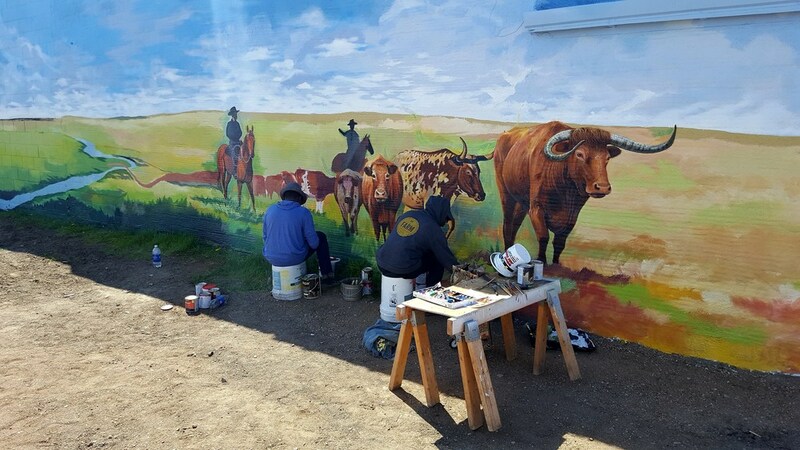 Lemmon, SD, was founded in 1906 by cattle rancher George Ed Lemmon and has continued to grow in many ways over the years. Rendezvous participants in period clothing and wielding period firearms. Started three years ago, the Hugh Glass Rendezvous is a 4-day festival dedicated to the life-changing experience of the same named frontier man. In 1823, Hugh Glass was attacked and mauled by a grizzly bear near present day Shadehill Reservoir. This was the subject of the 2015 drama, The Revenant, and won many awards for the story. Using the movie as a catalyst for people interested in history, the town of Lemmon started the Rendezvous and has had much success with it since. This year the rendezvous was August 24th - 27th, 2017. Tent or lodge designed for two rendezvous participants to enjoy the weekend. 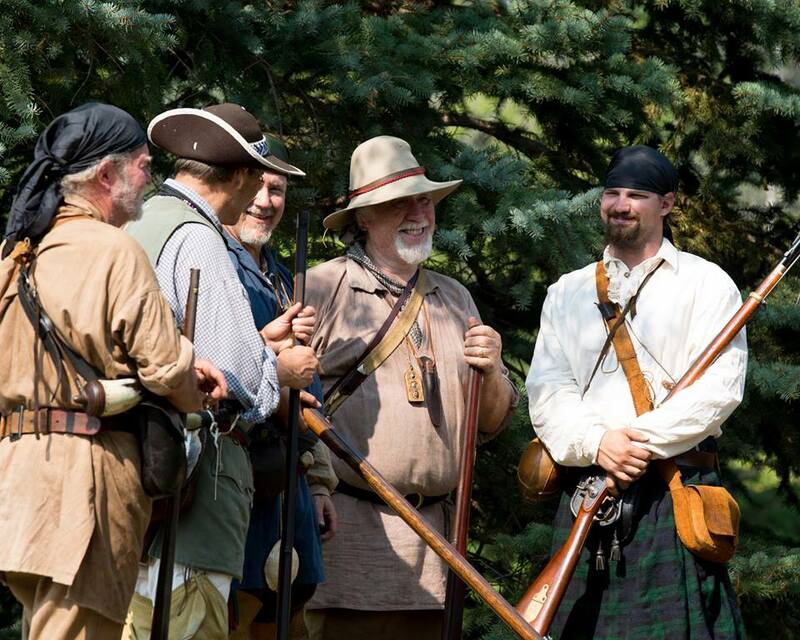 A rendezvous in the historical sense is a festival or gathering where interested parties get together and dress in historical garb, shoot period firearms, throw axes, and partake in any other activities that people of that period would have done. 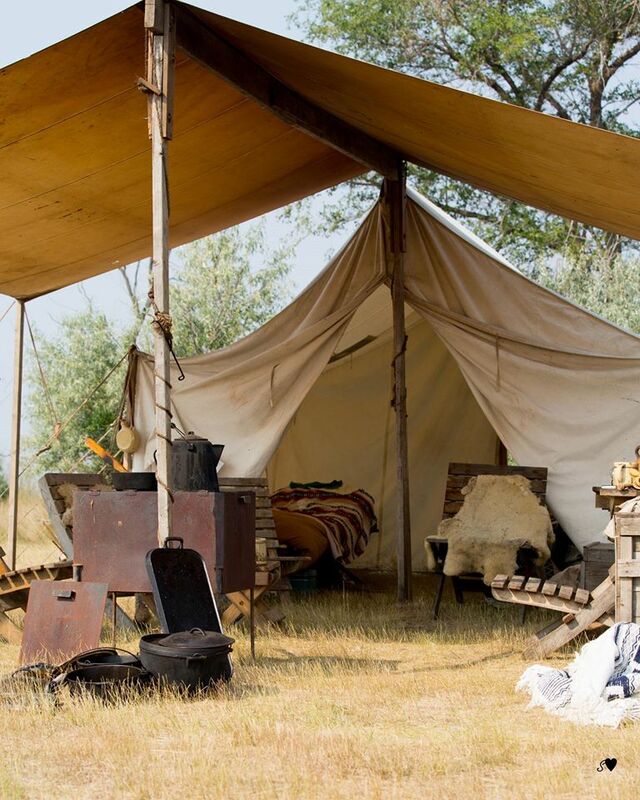 All the above takes place at the Hugh Glass Rendezvous in addition to many other activities. This year they had over 60 people camping on the grounds in primitive tents and clothing, the only way to camp during the event. In addition to those spending the night out there, they had several hundred visitors each day to participate in the festivities and enjoy all the different activities for kids and adults. Sculpture commemorating the grizzly attack on Hugh Glass. What makes this rendezvous really interesting is it takes place right where Hugh Glass was attacked and there is a monument to this on site. While you can visit the monument year round, it’s a special site and feeling to visit during the rendezvous. 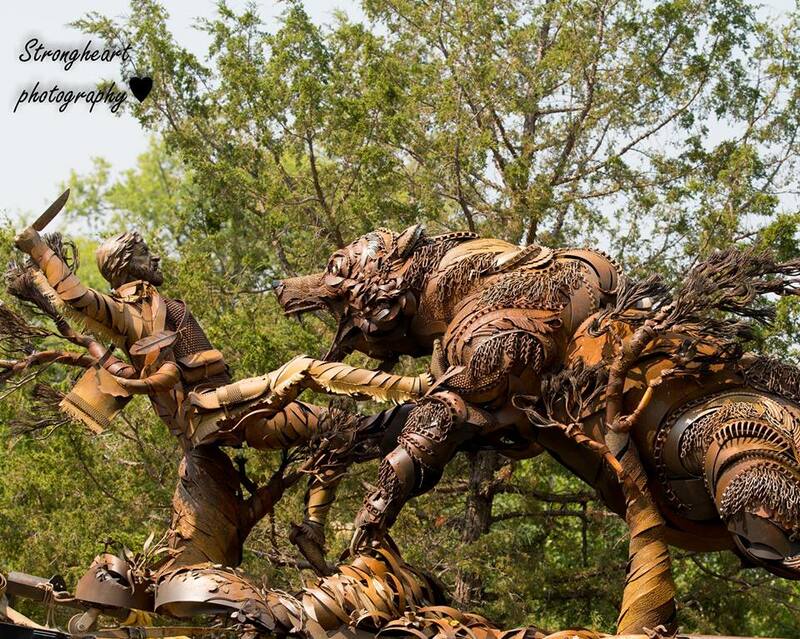 Local sculptor John Lopez has always enjoyed the regional history and decided to commemorate the story with a life-size sculpture of the attack, on view at the Grand River Museum. 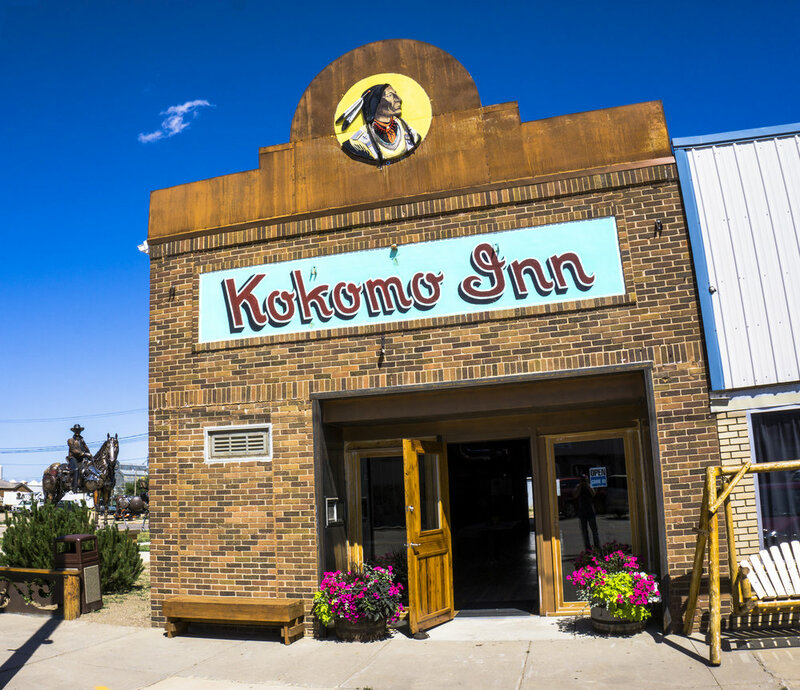 Front entrance of the Kokomo Inn in Lemmon, SD. While in Lemmon, be sure to stop at the Kokomo Inn Art Gallery. The Kokomo serves as the official gallery of John Lopez and houses many pieces of his work. There are also photos of his sculptures that are on display elsewhere in the country. An adjacent patio has a sculpture of Ed Lemmon as well as a mural by Nigerian artists Dotun Popoola & Jonathan Imafidor. Mural created by Dotun Popoola & Jonathan Imafidor commemorating Ed Lemmon. So when visiting western South Dakota be sure to make time to drive up to Lemmon, and if you find yourself there in August swing by the Hugh Glass Rendezvous. Nik is an Aberdeen native and views the Black Hills as a much needed reprieve from the never ending plains of Eastern South Dakota. He graduated from Northern State University with a degree in Fine Arts and Multimedia Design, both of which he enjoys using as the Marketing Project Specialist at Black Hills & Badlands Tourism Association. He and his wife own a martial arts gym in Rapid City and most of his time outside of work goes into training and growing that program. When not working he loves cooking and trying new beers from all around the world. He has dreams of traveling to every country in the world at least once and living abroad for an entire year at some point in his life.